Homeowners Insurance Quotes – Compare Home Insurance Companies and Find Affordable Homeowners Insurance online! 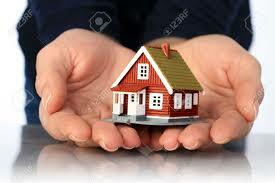 Home insurance protects your personal property against damage and theft. If your home is damaged or destroyed due to a catastrophic event such as a fire or hurricane, the insurance can pay for the repair or replacement of your home. In addition the structure of your house, your homeowner’s policy will also cover damage to your belongings, such as furniture, jewelry, and electronics. Because the scope of home insurance is so expansive, selecting coverage can be a daunting task for a new customer. By taking the time to understand how homeowner’s policies work before selecting your coverage, you can be sure you’re buying enough insurance without paying for coverage you don’t need. The first step to determining how much home insurance you need is to determine the value of your home, and insure the property at its full value. At one time, many insurance companies were advocating only insuring 80 percent of your home, believing it unlikely that the house would be completely destroyed. Recent disasters have proven that to be wrong, however. When valuing your home, do not include the value of the property it’s built on. Home insurance generally does not cover land, so the property value should not enter into your calculations. Do, however, assess the value of your personal property. If you have expensive items or those with a collectible value, consider insuring them separately under a scheduled personal property (SPP) policy. An SPP policy insures items like jewelry, artwork, or antique collections at their assessment value, not their replacement value. This will ensure that you get sufficient coverage for your items. Inexpensive homeowner’s policies are exclusive, meaning they cover only certain named perils. Depending on the type of policy, more perils may be included, but anything not explicitly listed on the policy would not be covered. These types of policies are rather inexpensive, but may not be the best choice for homeowners as many common perils might not be included. Inclusive policies are more expensive, but cover everything unless stated otherwise. These policies will have certain written exclusions against some kinds of losses. For example, most home insurance policies will exclude damage caused by floods or earthquakes. If you buy a policy with exclusions for certain perils, you can purchase supplemental insurance to cover those losses. For example, you can purchase separate flood insurance or earthquake coverage. The choice is yours whether you believe the peril is a sufficient threat to you and your property to warrant buying the additional coverage. Aside from coverage for your dwelling and personal property, you can also choose to add additional coverage to your policy. For example, you can include liability protection that pays for damage or injury another person suffers on your property. If a guest slips and falls while at your home, liability protection can help pay for their medical bills and prevent you from being sued. Liability protection is usually fairly inexpensive, and is a wise choice for many people, especially those who have substantial investments that might be harmed by a lawsuit. Another coverage you may consider buying is alternate living expense (ALE) coverage. This pays for room and meal expenses in the event that your home is rendered unlivable due to damage. If you do not carry this coverage, you will be responsible to pay for hotel and meal expenses out of pocket. Of course, if you have family in town or other alternate arrangements such as a summer home, you may not need to purchase ALE coverage. Ultimately, deciding how much insurance you need will depend on the value of your home and the coverage that you need. The best way to determine how much coverage to buy is to become familiarized with what each coverage does, and then discuss your options with your insurance agent or sales representative.